5.3???? Notice of Motion - Macksville Cemetery - Number of Sites ? 9.6???? Proposed Naming of the Macksville Netball Courts, the "Marion Wood Netball Courts"
11.3?? Paveline Patching Machine - Operation - June to December 2009 ???? In the event that a Councillors retires or passes away there would be significant cost to Council to conduct a bi election.? Council has already considered reducing its numbers from nine to seven.? Council should seek the Minister for Local Government?s approval for not conducting a bi election should a Councillor retire or pass away. That Council write to the Minister for Local Government seeking permission not have a bi election in the event that Councillor resigns or passes away before the next Local Government elections in 2012. On 1 May 2008, Council resolved that in the event the Local Government Amendment (Elections) Bill 2008 passed through Parliament obviating the need for a referendum on proposals to reduce Councillor numbers, that this Council reduce the number of Councillors to seven.? In the event the Bill did not become law and the proposal did not proceed.? At the time there was a detailed report to Council on levels of representation at other mid north coast councils, recent decisions to reduce the number of Councillors at other Councils and information on costs. In NSW the number of councillors can range from 5 to 15 (one of whom is the Mayor).? Representation levels vary from one councillor per 500 people to one councillor per 15,000 people.? The report to the meeting in 2008 included the following table on levels of representation at mid north coast councils. In May 2008 it was calculated that a reduction of two councillors would result in an estimated annual saving of $24,200.? This does not include communication costs, such as staff time in answering enquiries, printing business papers etc. Section 294 of the Local Government Act makes provision for dispensing with the need for by-elections.? It provides that if a casual vacancy occurs on or after 1 October last preceding the end of the term of council, the Minister may, on application of the council, order that the vacancy not be filled.? Therefore 1 October 2011 would be the applicable date for the application of Section 294. The notice of motion essentially seeks to rewrite Section 294 so that a casual vacancy does need to be filled at all, presumably so long as the number of Councillors does not fall below the minimum of five.? Based on the 2008 election, the cost of a bi-election for a casual vacancy will be approximately $100,000.? On this basis the notice of motion has considerable merit. Councillor Janet Hayes from Kempsey Shire Council has proposed a similar motion to Kempsey Shire Council.? On 2 February 2010, that Council resolved that the General Manager canvas the Macleay Valley community as to their view on reducing the number of councillors at the next general election from 9 to 7 or 5.? The matter has been discussed with Ms Hayes who believes the Minister will only consider the non-replacement of casual vacancies where the Council has resolved to reduce its numbers. There may be merit in putting forward the matter to a vote at the annual Shires? conference. It is proposed that Council conduct a community workshop, covering the recent changes to vegetation legislation, for interested members of the public.? The purpose of the workshop is to provide information to rural landowners as to their legal rights and obligations and to help in the management of their land in accordance with environmental and natural resource management law.? The workshop would be presented by a legal expert from the Environmental Defender?s Office.? Community workshops are tailored to meet the needs of the workshop participants, but emphasize practical application of the information provided.? Nambucca Valley Landcare has expressed an interest in participating, as well as assisting with the workshop. It is suggested that Nambucca Shire Council would host the workshop at Council Chambers, as this is a central venue with all the necessary facilities.? It would be desirable to have a member of staff introduce the workshop to the attendees.? The date for the workshop would be determined by relevant members of staff, in consultation with the Environmental Defender?s Office and Nambucca Valley Landcare.? There will be no cost to Council for the workshop, as all expenses are covered by the Environmental Defender?s Office.? The Coordinator of Nambucca Valley Landcare has also indicated that they would be willing to cover the costs of any advertising or other unforeseen incidentals which may arise. That Council staff liaise with the Environmental Defender?s Office and Nambucca Valley Landcare to organise a free community workshop, in relation to native vegetation legislation, for rural landholders and other interested members of the community in Nambucca Shire, to be held at Council Chambers on a suitable date. 2??????? Council could choose not to hold the workshop? The Environmental Defender's Office Ltd is a not-for-profit community legal centre specialising in public interest environmental law.? Last year I attended a similar workshop to the one proposed for the Nambucca Shire.? The workshop was hosted by Coffs Harbour City Council and was held on a Saturday at the Cavanbah Hall (a Council-owned building) in Coffs Harbour. ?A staff member from Council introduced the workshop to those present and was in attendance for the duration of the presentation. ?It was attended by a broad range of participants and was presented by Ms Sue Higginson, a lawyer with the Environmental Defender?s Office. 1??????? Outline of vegetation legislation in NSW ? the roles of Federal, State and Local Government. 2??????? Types of legislation governing vegetation management ? such as the Native Vegetation Act, Threatened Species, Water Management (Riparian Area), Tree Preservation Orders, Coffs Harbour?s Koala Plan of Management and Private Native Forestry. 3??????? Whose role is it to issue consent to remove vegetation and when does dual consent apply between organisations? 4??????? Who has the information you need to make the best decisions about vegetation management on private property? 5??????? What questions should you be asking Government Departments? 6??????? Routine Agricultural Management Activities (RAMA) ? what are they, how do they apply and at what stage do you need to ask advice? 7??????? What can happen if you choose to illegally clear vegetation on your property? The workshop also provided an opportunity for attendees to raise questions in relation to any concerns they had in relation to the use of their own land. Improved environmental outcomes should be achieved, as participants will gain an informed understanding of their legal rights and obligations as landholders, in order to assist them to manage their land in accordance with environmental and natural resource management law. The social benefits would include an opportunity for attendees to network and communicate with fellow landholders.? A further social outcome could be an improved relationship with Council staff, as participants gain a more thorough understanding of Council?s responsibilities in regard to ensuring compliance with land-use.? Conducting the workshop would also be a positive exercise in public relations, as Council would be seen to be taking an active interest in providing our rural community with helpful advice. By landholders gaining an informed understanding of their legal obligations and rights, it could be expected that they will be less likely to incur financial loss as a result of non-compliance issues.? There could be a positive economic impact for Council also, as landholders become more informed about their legal responsibilities, thereby not needing to contact Council staff as frequently with questions in relation to the permissible use of their land.? No negative economic impacts have been identified. There is no risk to Council or to participants by conducting the workshop.? However, should Council choose not to conduct the workshop, it is likely to go ahead anyway without Council support.? In this case however, the risk could be a negative public perception that Council does not support dissemination of practical and useful information for local rural landholders. The workshop will be funded by the Environmental Defender?s Office.? The Coordinator of Nambucca Valley Landcare has also indicated that they would be willing to cover the costs of any advertising and other incidentals which may arise.? There will be no variance to Council?s working funds by hosting the workshop. The Northern Rivers Catchment Management Authority (NRCMA) are responsible for the implementation and regulation of the Native Vegetation Act.? It is considered that the NRCMA should be the Authority involved in any such workshop not Council or the Environmental Defenders Office. Using the Environmental Defenders Office may very well provoke considerable animosity as they are not seen as impartial in Vegetation Management. In relation to any workshop, there should also be liaison with the local branch of the NSW Farmers Association who also have strong views in relation to the issue. The Macksville Cemetery is running out of sites in the Catholic section. That Council investigates the number of sites remaining in the Catholic section of the Macksville Cemetery. The Manager Health and Building will be reporting on this matter and all cemeteries in the Shire at the General Purpose Committee meeting on 17 March 2010. All investigations completed.? Priorities for design and construction subject to funding allocations. The Minister has now responded (letter dated 19 January 2010) advising that because of the ?dilapidated? state of the Deep Creek bridge, it is not eligible for natural disaster funding.? Notwithstanding he also advises that the primary role of natural disaster funding is, ?to restore or replace roads and bridges, damaged as a direct result of an eligible event, to the equivalent of their pre-damage standard or service level. GM attending to more urgent issues.? Will try to complete for 21 January meeting.? Proposals put to Council?s insurer and auditor re self insurance of plant and equipment.? To be reported to March GPC. Local resident and 2NVR volunteer, Peter Renshaw has advised that as a private individual he participated on a working group chaired by Cr Degans of the Coffs Harbour City Council.? The group looked at creating a public transport corridor between Coffs Harbour and Woolgoolga and also the potential of a rail motor service between Coramba and Bonville.? Extending the rail motor service to the Nambucca is not formally part of their plan for which they have sought funds from CHCC for a feasibility study. With Council?s decision on the new 2010-2012 Environmental Levy this matter will not be pursued except if external funding opportunities arise. Further report to come to Council. Report to come to GPC in March 2010. Letter from the Minister circulated to Councillors. Transfield on behalf of RIC advise that load limits remain current. Low priority for replacement. Scotts Head Master Plan ? write to Dept of Lands as whether they are willing to accept a lease; the proposed income and any associated costs. Whether the Land and Property management Authority(Scotts Head Reserve Trust) Would consider a new tenure over the existing area would depend on the nature and content of the lease Council was prepared to offer.? Issues to be considered would include the length of term allowed, the annual lease fee to be charged. And the amount of site works and improvements that are required in the leased area to meet LG standards and requirements. The existing plan of management for the Adin Street (Council) Reserve expires in 2013.? in order to be able to issue a lease beyond this period Council would need to produce a new Plan of management that allows for the lease and use as part of the Caravan park.? A further complication is the impending date (June 2010) for the implementation of the second stage of the necessary fire protection requirements. To allow the Trust to accurately consider the matter, Council would need to provide a proposal concerning a new lease that included the relevant details (term, conditions and annual rental).? The lease agreement would need to be developed bearing in mind the costs required to upgrade the holiday van area to specified standards.? Any new lease term would need to be long enough to amortise the value of such works. To be reported to March GPC. Enlargement of the day use area was part of the suite of changes proposed in the Master Plan.? Expansion of the area was contingent upon relocation of the entrance and other changes proposed.? If the existing layout is essentially retained then there is little scope for change to the day use area. To be placed on public exhibition for 28 days at end of February 2010. Invitations issued for meeting on Friday 12 February 2010.
Letters sent 9 Feb 2010.? Report to come to Council following responses and review of previous work undertaken.? Targeting March 2010 GPC. Report revised for GPC 17 February.? Traffic Management Wallace Street ? plan to be submitted to RTA for assessment & funding. Shannon Creek inspection ? letter thanking Clarence Valley Council.
? stimulate investment in innovative ways to save, harvest and recycle water and/or reduce overall energy consumption (and related greenhouse emissions) and/or peak electricity demand. ???? small-scale projects of between $20,000 and $100,000 per annum. ?????? Public housing estate redevelopment projects (ie create a mixed community through building or redeveloping affordable homes for private ownership). ?????? 1. Increase regular and on-going participation opportunities in sport, recreation or structured physical activity in a sustainable manner. ?????? 2. Improve access for people from groups that traditionally find it difficult to access sport. ?????? 3. Improve safety at sport and recreation facilities. ?????? 4. To develop environmentally sustainable sport and recreation facilities. Natural disasters such as floods, storms and bushfires occur regularly in NSW. They cause hundreds of millions of dollars of damage each year to homes, businesses and the state's infrastructure, along with serious disruption to communities. Scientific research indicates that more extreme weather events, and large-scale single events with more severe cyclones, storms and floods, are expected in the future. In 2009/10 the NSW Government in partnership with the Commonwealth Government under the Natural Disaster Resilience Program is offering the Natural Disaster Resilience Grants Scheme (NDRGS). The NDRGS replaces the Natural Disaster Mitigation Programme and makes grants available to local governments and agencies to undertake a wide range of natural disaster risk assessments and risk reduction works; which contribute to safer, sustainable communities which are more resilient to the effects of natural disasters. AUTHOR/ENQUIRIES:??????? Faye Hawthorne, Accountant ???????? Return on investments to 31 January 2010 is $1,229,340.74. During January, Term Deposit interest rates varied from 4.80% for 30 days and up to 6.84% for 12 months with around 7.00% for 3 yrs to 5 years. Rates are still more attractive in the longer term. The Managed Funds this month showed some positive returns with Macquarie Income Plus returning $43,555 and Aberdeen $29,282, with TCorp having an adverse return of $23,341. ?With the economic recovery in the developed world still questionable and economies burdened by weak fiscal positions, we recommend an underweight position to managers that simply mimic benchmark weight to US and European equities. With easy money returns coming to an end, and markets paying closer attention to underlying fundamentals, outperformance in the New Year will require good quality managers with strong stock picking skills.? This report details all the investments placed during January and Council funds invested as at 31 January 2010. That the Accountants? Report on Investments placed to 31 January 2010 be noted. This report details all the investments placed during January 2010 and Council funds invested as at 31 January 2010. Council received advice on 8 January that Aberdeen Asset Management decided to commence winding the Aberdeen Cash Plus Fund. Council has $3,061,925.36 in this fund as at 31 January 2010. Council?s financial advisor has advised that preliminary discussions with the? fund manager suggests that the Fund will distribute approximately 50% of its assets in early February 2010 (at little or no discount), with another 30% aimed to be distributed by the end of April 2010 and the remaining 20% by the end of June 2010. ?With interest rates expected to rise in the short-term, we have a bias toward 90 day term deposits. However, we would recommend investing into a 6 month or 12 month term deposit if the margin above the prevailing bank bill swap rate (BBSW) is large enough to compensate the risk (interest rate risk) for investing for a longer period of time. For example, we highly recommended investors to invest into the 1 year term deposit @ 6.80% offered by the major domestic banks (St George and Westpac), which was 2.00% over the 1 year BBSW. Furthermore, Council can take advantage of the Federal Government?s Guarantee on Deposits for investment up to $1m, per financial institution.? Based on the rates below, we would recommend Council invest $1m with Defence Force Credit Union for 90 days @ 6.10%. For the other $2m, we would be recommending $1m with Members Equity for 90 days @ 5.60% and $1m with Suncorp for 180 days @ 6.50%. We believe the Suncorp rate of 6.50% for 180 days is very attractive ? 190bps above the 6m BBSW.? Note that for deposits that qualify for the Federal Government?s Guarantee on Deposits, they essentially take on the sovereign credit rating of the Federal Government, being ?AAA?. Otherwise, if Council finds it a burden administratively to open up separate accounts with different institutions, we would be recommending the $3m be placed with BankWest (AA) for 90 days @ 5.50%?. Or Council could invest in a fixed or floating rate note which are only offered from time to time.? These are the rates applicable as at 15 January only.? The rates change on a daily basis and will depend on the amount received, and when it is received.? As with all investments of Council ?s funds, Council will be relying on the advice from CPG advisory, and ensuring that Council is in compliance with the Ministers Order. Interest on investments were assessed with the December 2009 Budget Review.? Variances have been distributed between the Water, Sewerage and General Funds. Council has received a proposal for a War Memorial at Scotts Head from Mr Alan Lane. The general location proposed for the War Memorial and its configuration of commemorative plaques on an extended viewing platform is supported.? Given that it?s a prominent location for viewing the coastline, permanent full height flag poles should be avoided. As it is Crown Land which is the subject of the Scotts Head Reserve Master Plan it is recommended that Council express in principle support to the proposal in its final submission to the Department of Lands. That Council express ?in principle? support to the proposal for a War Memorial at Scotts Head generally in accordance with the submission lodged by Mr Allan Lane but avoiding full height permanent flag poles, and this be part of Council?s submission on the draft Scotts Head Master Plan. Council can support the proposal, not support the proposal or suggest an alternative location or configuration for the War Memorial. Council has received a proposal for a War Memorial at Scotts Head from Mr Alan Lane.? A copy of the proposal is a circularised document. The proposal seeks Council?s support for the construction of a memorial on the eastern side of Ocean Street overlooking Little Beach.? The proposal involves extending the existing landing and the erection of memorial plaques dedicated to those who have served their country and community. It is proposed that the War Memorial be developed in three stages.? Stage 1 would be the provision of commemorative plaques attached to the existing rails on the platform.? There would be three flags on temporary fixtures for poles.? Stage 2 would result in the platform being extended to become a viewing platform and the plaques repositioned.? It is also proposed that a more appropriate concrete disabled access be constructed.? Stage 3 would involve the provision of commemorative poles for various community service organisations located below the viewing platform. The proposed location is within the Scotts Head Reserve and the area covered by the Scotts Head Reserve Master Plan which is yet to be finally considered by Council. Mr Lane indicates there is widespread community support for the construction of a memorial and that the NSW Lands Department has approved the use of the proposed site for the purposes of establishing a memorial.? However Council staff have not undertaken any community consultation. The proposal was raised during the preparation of the Scotts Head Reserve Master Plan and it is appropriate that it be incorporated within the final adopted Master Plan. It is agreed that the proposed War Memorial would serve as a focal point to commemorate and reflect upon the sacrifices made by our armed forces.? The expanded viewing platform will also be popular with residents and tourists alike and the proposed memorial plaques will add to the experience. At this stage, the funding of the proposed memorial has not been determined.? It is a relatively simple, multi-purpose design.? Funding may be available through a grant or the Lands Department.? Council could also provide financial or in-kind assistance. Council at its meeting 21 January 2010 resolved to defer consideration of a report on the compulsory acquisition of the Council controlled laneway intersecting the Nambucca Head Public School until such time as adjoining and adjacent owners had been contacted and their comments sought. ????????? 1??????? That Council consent to the compulsory acquisition of Lot 21 in Deposited Plan 1131068 by ????????? the Department of Education and Training and accept compensation for the acquisition in the ????????? amount $24,500.00 on the proviso that the acquisition be completed without cost to Council. ????????? 2??????? That Council authorise the General Manager and Mayor to execute any documents required to give effect to and facilitate the compulsory acquisition of Lot 21 in DP 1131068 by the ????????? Department of Education and Training. ????????? That all adjoining owners be notified of sale of the lane to the Department of Education and be asked for their comments before proceeding with recommendations 1 and 2. ????????? That all adjoining and adjacent owners be notified of the compulsory acquisition of the part of the lane by the Department of Education and be asked for their comments before proceeding with recommendations 1 and 2. Only one property adjoins the laneway proposed for Compulsory Acquisition by virtue of the fact they share a corner boundary.? The owners were contacted both by mail and telephone and their comments are to hand. ?Refer Steven Williams Property Officer. Thank you for the opportunity to comment on the above land acquisition.? As you have stated the acquisition will not and should not have any affect on our land in any way.? However, we do ask that any future development upon the said land does not have any detrimental (sic) impact on the present drainage system currently in place.? The Planning Department advises that, where Council is the Consent Authority, ongoing drainage requirements to the surrounding land will be addressed when processing Development Application for future Development. Council can contest the assessed fair compensation and seek to negotiate an alternative rate with the Department.? In the absence of Agreement the matter is referred in the first instance to the Valuer General. Further objections to compensation are lodged in the Land & Environment Court.? See summary and refer report dated 21 January 2010 attached. ITEM 9.6????? SF968????????????? 180210???????? Proposed Naming of the Macksville Netball Courts, the "Marion Wood Netball Courts"
It is proposed that the new Willis Street netball courts be named the, ?Marion Wood Netball Courts?. That the Willis Street netball courts be named the, ?Marion Wood Netball Courts?. The naming of the Willis Street netball courts is entirely a matter for Council.? However it is recommended that Council?s decision be guided by the wishes of its Committee of Management which manages the Courts and which has made a substantial financial contribution towards their recent upgrading. The Nambucca Valley Netball Association is planning the opening of the new netball courts in Willis Street and is seeking Council?s approval for their naming as the, ?Marion Wood Netball Courts?. Marion Wood who is a retired resident of the Nambucca valley, was a teacher at the Macksville Primary School and started netball games at Macksville High School 40 years ago.? She ran the Saturday morning netball competition for many years, initiated the Nambucca Valley Netball Association and was their first life member.? Marion was also a representative coach for many years. The Nambucca Valley Netball Association believes it would be fitting for the Courts to be named after Marion given her many years of voluntary work in establishing the game in the Nambucca Valley. 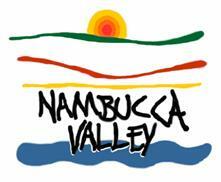 There has been consultation with members of the Nambucca Valley Netball Association. In any case Council will have to provide signage for the new netball courts.? It is an appropriate time to consider the naming of the courts before the signage is prepared. In 2004 Council provided a loan of $30,000 to Comet Windmills to assist in the establishment of their factory premises in Macksville.? Council resolved that the loan was to be repaid over a period of 5 years at the current rate of interest applicable to local government borrowings.? According to Council?s records the balance of the loan as at 22 June 2009 was $18,419.83. Council has received a proposal from Comet Windmills to donate a windmill to be located in Dawkins Park in Macksville in exchange for the discharge of the balance of their loan from Council. In the circumstances it is recommended that Council seek the repayment of the loan but incorporate the provision of a windmill into the planning of the upgraded borefield infrastructure. That Council seek repayment of the outstanding loan balance of $18,419.83 but incorporate the provision of a windmill into the planning for the upgraded borefields infrastructure. Council can accept the proposal from Comet Windmills. Council has received a proposal from Comet Windmills to donate a windmill to be located in Dawkins Park in Macksville in exchange for the discharge of the balance of their loan from Council.? A copy of the proposal by Comet Windmills is attached. Advice from Council engineers is that the aeration which is required for the Dawkins Park lake will require an electric pump and the windmill, whilst being of assistance, could not replace the existing arrangement.? Council?s outdoor staff manually adjust the electric pump?s running time depending upon the season and the conditions.? On average the pump uses about 1,600 kilowatts of power per quarter but can get to a maximum of 2,400 kilowatts per quarter.? The 3 phase 5.5KW Onga pump has a maximum flow of 1,150 litres per minute for a total head of 25 metres.? On average it runs for about 12 hours per day. The pump runs longer in warmer months to try and improve oxygen levels and minimise the risk of fish kills although the latter still happens when the water gets too warm. Consideration has also been given to the opportunity to utilise a windmill at the borefields at Bowraville.? A large windmill may obviate the use of an existing electric pump or proposed pump in an expanded borefield.? In relation to locating a windmill at the borefield, the major issues are flooding and the acquisition of an additional easement.? The logical time to incorporate a windmill would be as part of the work associated with the proposed off river water storage.? Following an inspection with Comet windmills the preferred proposal would be for the windmill to fill the collection tank at the headworks and not pump to the new storage. There has been consultation with Comet windmills and Council?s Finance Officer. There are no significant implications for the environment.? The use of wind power has obvious environmental benefits. There are no particular risks at this stage. The provision of the proposed windmill would be in exchange for settlement of the sundry debtor balance of $18,419.83. If the proposal is accepted there will be a reduction in working funds. 8/2/10 letter sent to applicant requesting update on application for waiver of Masterplan and requesting withdrawal of DA if no progress forthcoming. The figures show a -6.96% decrease in the number of DA?s received to January 2010 with construction costs decreasing by 251.52% compared to the same period in 2008/2009 (there were some very large developments during this comparison period). The total number of DA?s/CD?s approved for the month of January was 9 plus 3 modifications.